Properties in Opito Bay average 4.6 out of 5 stars. Property 106: Broadview Retreat, Sleeps 10 People or 8 Singles. Relaxation, Family, Freinds and Fun! Property 114: Relaxation, Family, Freinds and Fun! 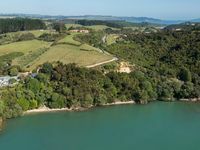 Property 118: TUIS NEST- Private yet central,close to river..
BOBBAS BACH! A comfortable four bedroom house with a large private garden. Property 121: BOBBAS BACH! A comfortable four bedroom house with a large private garden. Property 123: Stone Store Lodge A unique lodge in a prime location. 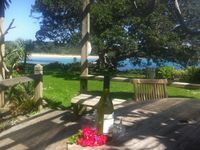 Property 124: The Pohutakawa Beach House at Tapuaetahi, Kerikeri. Fabulous seaside home at Tapeka , Russell . Property 131: Fabulous seaside home at Tapeka , Russell . This modern home is located 5 minutes walk from central Paihia. Property 137: This modern home is located 5 minutes walk from central Paihia. I gave it 4 stars but think that 3.5 would be more appropriate. The location was awesome but the house was in need of some TLC. Had a great time staying at the Bach at Driftwood Escapes. Phenomenal views and peaceful surroundings. Things to know: excellent wifi, limited sky tv, basic kitchen but good sized new fridge and excellent bbq. Bring your own hairdryer, if that&rsquo;s important. Recommend the drive and walk to Marsden Cross at the end of the peninsula. All in all a great place to stay for a few days/nights - we had excellent weather , but I could imagine it being quite cosy all year round.